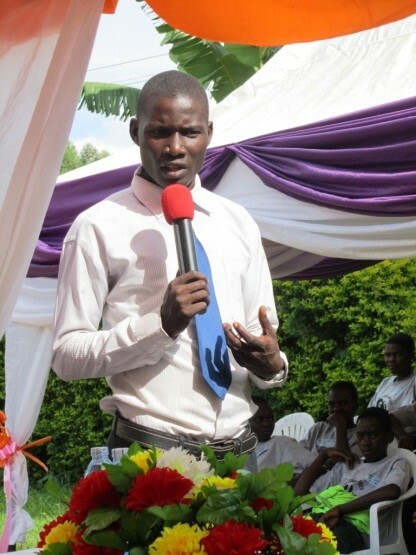 ACT had been supporting Kibwika for three years before I (Kunle) met him for the first time in Jinja in 2008. He was in Form 1 at the well regarded Goodheart Secondary School. At 17 years of age, it was not a surprise that he was the oldest in the class. How did he feel about being the oldest in the class? The next oldest child was 14 years old? His response surprised me. With a stern unsmiling face he looked me straight in the eyes and said, ‘I thought you would congratulate me for making it to this school’. That was Kibwika. Ask him a silly question and his answer will cause you to reflect and wonder why you had not asked him a more serious question. At that stage in his life Kwibika had no time for small talk and meaningless pleasantries. He was a ‘man’ in a hurry. Yes, man and not boy. His life experience at 17 was already more than most people would experience in a lifetime. Kibwika was right. I should have congratulated him for making it past the school gate and gaining admission to Goodheart Secondary school, one of the top secondary schools in Jinja, Uganda. True to its name, the school indeed has a good heart. Kwibika was clearly eager to study and was grateful for the opportunity to attend secondary school, even at the advanced age of 17. He told me his story. brothers walk away and left him alone in the room. He had four years of horror. He went out of the town and lived rough in the bush. He planted maize for food and eat bananas and fruits he picked up in the forest. Occasionally he wandered to his mother’s village trying to find his relatives, but the clan offered him no help. They were all poor. He recalls that his biggest problem was hunger. He was always hungry, perhaps not surprising for a growing boy. He once stumbled on his brothers who told him their grandfather had died and left their mother a share of his land. He was given a small piece of the land. He learnt how to make bricks and built a hut (see photograph) which became his permanent shelter. For four years he did not go to school. Then a kindly lady in a town nearby saw him and was moved by his plight. She took him back to Jinja and introduced him to the local Church that happened to be ACT partners. He was helped back to primary school and then gained admission to secondary school. His education was financed by ACT. At the church he was nicknamed ‘Bush’ – English translation of his local name Kibwika. I caught up with Bush in Jinja last November (2015). Seven years on and now 24 years old, he had completed secondary school. He sat the A-level exams but did not make the grades. But Bush has found his vocation. 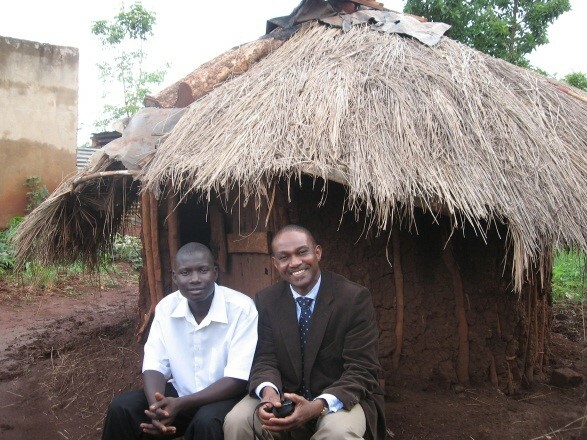 He is assistant pastor at the same church that supported him and is planning to attend bible school this year. I could see the joy he felt meeting me again, but there were no smiles. Yes, Bush never smiles, but Kibwika is a happy man looking forward to a better future. ACT relies on the generous help of our supporters to continue this work. If you’d like to donate or wish to find out more information, please contact us or donate here.